Golden Pilsner will serve as a lighter counterpart to the brand’s Traditional Lager. Pottsville, Pennsylvania’s D.G. Yuengling and Sons brewery just introduced a new beer. In a craft beer world where new brews crop up every day, that might not seem like a big deal. But at Yuengling—which has dubbed itself “America’s oldest brewery” because it’s continuously operated since 1829—time moves a bit slower. The brand’s new Golden Pilsner is noteworthy because its the brewer’s first new addition in 17 years. Yuengling is known for its best-selling Traditional Lager, an amber-hued beer that comes in an old-fashioned green bottle. But because this malty lager leans towards the darker side—unlike lagers such as Budweiser—the brewery has been looking for ways to appeal to drinkers who prefer their lagers a little more pale. Golden Pilsner is already being packaged with an official release date of April 1. 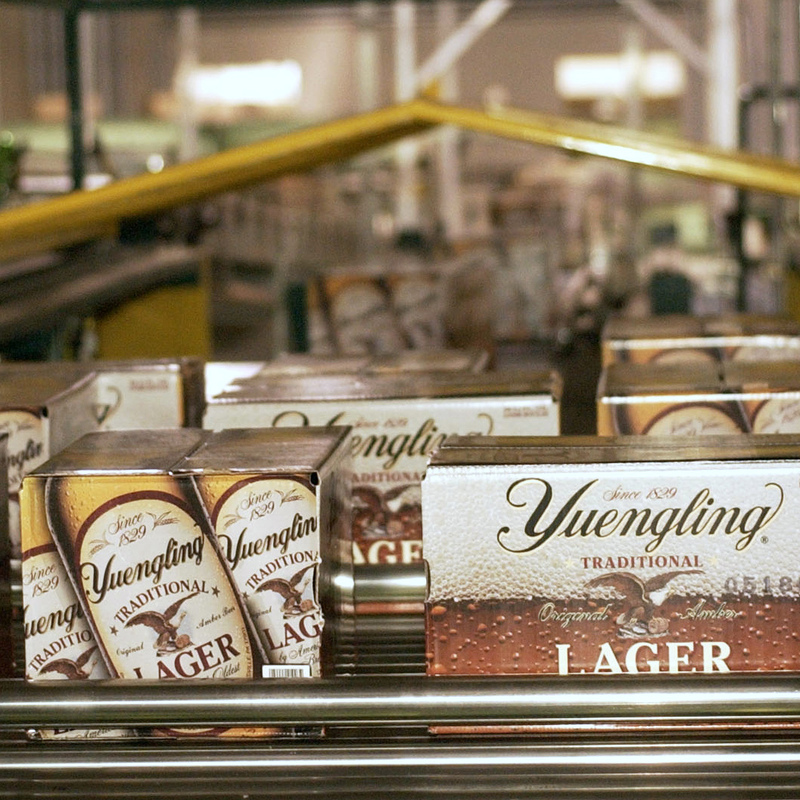 Though it will originally launch in six markets, the new brew is eventually expected to land in all 22 states where Yuengling is sold. Adding a traditional pilsner is a bit of return to basics for the brewery. Though Golden Pilsner is the brand’s first new year-round release in 17 years, the brewery has been experimenting with craftier seasonal styles in recent years, including Summer Wheat, which was released in 2014, and an India pale lager, which came out in 2015. Both of those beers have been discontinued. But simplicity has always been one of Yuengling’s selling points. In some parts of Pennsylvania, for instance, a Yuengling Traditional Lager can be ordered just by asking for a “Lager.” With traction like that, you’re probably best off giving fans what they want.